As a digital neuroscience company, we are committed to fundraising for charities that promote mental wellbeing and provide support for people affected by neurological disorders - both the patients themselves and their families. Every year we focus our fundraising efforts on one charity - our Charity of the Year. We then arrange a whole host of events throughout the year to raise as much money as possible for our chosen charity: from bake sales and pub quizzes, to ceilidhs and even scaling the Three Peaks! Over 2016, 2017 and 2018 we raised a grand total of £19,285 for charity and met some incredible people from the various organisations along the way. 2018 – We fundraised for Rethink Mental Illness. Learn about our activities. 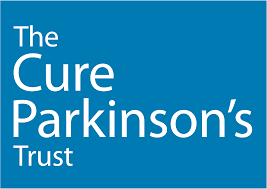 2017 – We supported The Cure Parkinson’s Trust. Find out what we got up to. 2016 – We fundraised for Mind. Take a look at our fundraising efforts. Want to help us with our fundraising work? Take a look at our JustGiving page to help us on our way. Any donation – however big or small – would be very much appreciated.